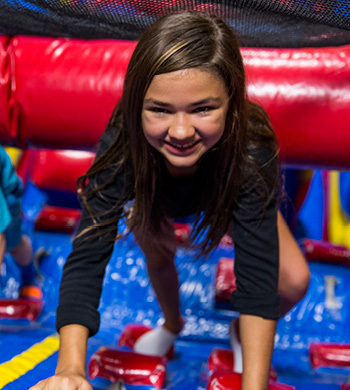 Our Big Bounce package is perfect for holidays when family is in town and you want something fun that the whole family can enjoy! This popular package is also great for Mom's groups, church groups, play groups or any other group who just wants a safe, climate controlled place for their kids to bounce, play, slide or climb and burn off some of that endless energy that all kids seem to have and most parents want to get rid of!! Call and reserve a Big Bounce Special and get the private use of our arenas for an entire hour! $99 For Up to 15 Kids! Parents are FREE! 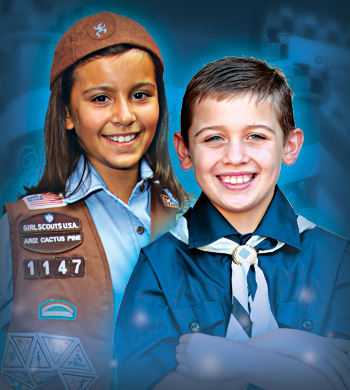 Your sports team or Scout troop can enjoy lots of fun-filled, PRIVATE inflatable playtime AND the use of our brightly decorated, private party room for cake, trophies and awards for just $120.00 when you wear your troop uniform or team jerseys! Note: Your team or troop must wear their uniforms to get this special low price! Kids will love bouncing and playing together and your organization will love our private, secure arenas! Coordinators will have a bouncing good time too and will love the ease of hosting a field trip at Pump It Up. Your group will have the arenas all to yourselves AND you can order lunch for all attendees, making it completely hassle-free! Pump It Up of Frisco can help your organization raise money while your guests jump for joy on our super-sized inflatables! 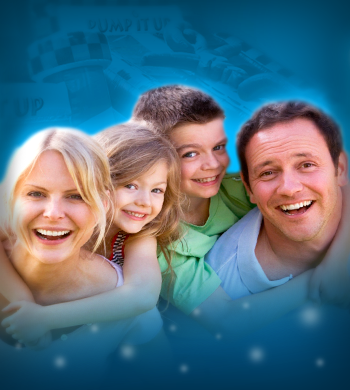 A Pump It Up fundraiser includes the entire family and is a private 2-hour event. Everyone can jump, slide, laugh and play while also raising money for your favorite organization! Setting up a Pump It Up Fundraiser is simple! 2. DETERMINE the per person price for your fundraiser event. Consider your fundraising goal when setting your price. 3. ADVERTISE your event so it is well attended.